I booked one bedroom apartment, was very good, cleane and tidy ( room was queen bed little space) but it wonderful place, I booked for 4 nights, generally, the staffs were very helpful and kind ... specially ( if I remember) Mr victor ..housekeeper, special thanks for him, i wil come again. Stayed in a one bedroom deluxe. Surprisingly big apartment Clean Comfortable Good amenities Good gym Cosy pool and sauna Nice staff Great location Easy parking with valet Room easil accommodated our large volume of luggage and 3 kids. Pros: 1) Reception was very welcoming. 2) I took a studio apartment which was very spacious with all the required anenmities. 3) Very quiet and peaceful place. 4) Ample basement parking 5) Restuarants and supermarkets are quite nearby. However, breakfast and limited options but compared to value of money, it was fine. We had a great time in Dubai @ Al Khoory. The Apartment was large and had a full functional Kitchen. Walking distance from Restaurants, Malls, Shops etc. Staff was very friendly. Fully functional Kitchen was a good option. I will recommend the place. The hotel is centrally located, very easy to get a taxi, and walking distance to the train station. The staff are very friendly and very helpful - Hardip, Mabu, Moses - made us feel homey and well taken care. The management was accomodative when we had to change our itinerary. Overall, we had a very good stay. I only recommend that the breakfast should be better and has more items availabe than current situation. Also, the sitting tables in the resturent for the breakfast is few and close to each other too much beacuse the place is narrow. I stayed there an awesome time with my wife . The hotel is clean and luxurious . The location is amazing . Staff were very helpful . I loved the way it looked like family hotel . It's my first choice in Dubai . Thanks for them for making our stay amazing . I stayed for 2 nights but did not utilize any facilities at this hotel. Overall the experience was ok. Nothing wow or nothing dissatisfactory. 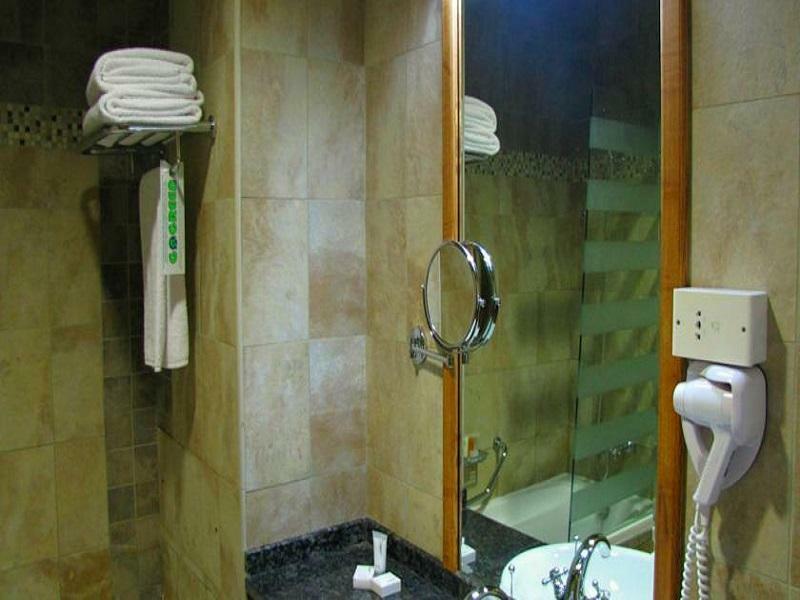 Bathroom were clean and very well maintained. Staff was courteous at the reception. Channels of TV were more for the arabic guests. I was staying there during the cricket world cup and no TV channel was showing world cup matches. Nice and pleasant stay in this hotel. Location is ok with 10mins walk to metro station.....ok for winter season but something else if in summer time. Front desk very helpful and friendly. Gym was great and the pool looked great but was too cold for me to swim. Next time. Supermarket and restaurants are nearby so rather convenient. Internet was fast and allow up to 3 devices. Superb. No complaints. Nice, big, spacious rooms, staff were very helpful in accommodating our requests and giving information. The gym was nice and clean. The location is good if you're headed to JBR or Dubai Marina. If you're headed downtown and to the city centre it's around 50-60AED. The Wifi was fast. 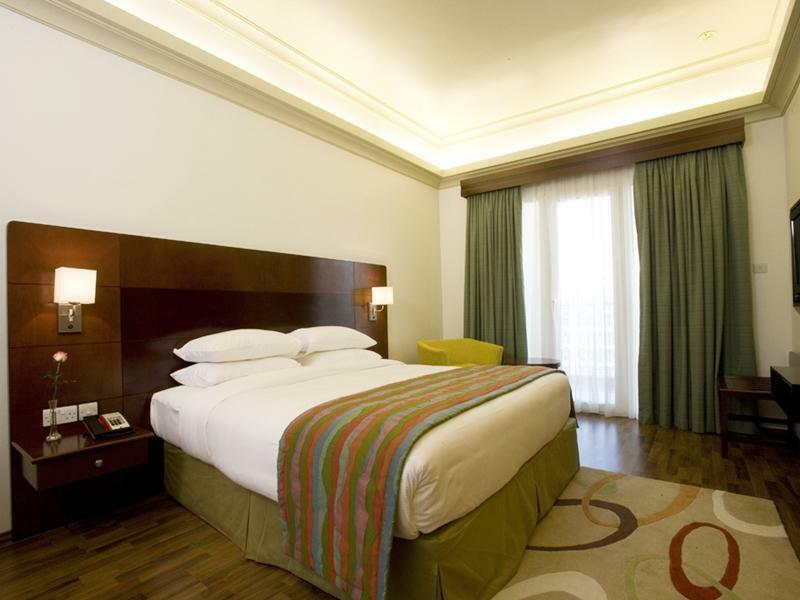 Excellent hotel with spacious rooms, nice interiors, well equipped and so clean. Friendly staff. The location is close to the most popular mall but it's hard to get an easy access to the hotel address. Reception desk is small and under-staffed. Over all ... Excellent value for a great hotel. Will be back. it was a great stay during the gulf food as the location is near to the sharaf dg metro station and also to the mall of the emirates. the rooms are large with all the required ammenities for a hotel apartment. will definately be a good choice for my next visit. สถานีรถไฟใต้ดิน Sharaf DG - ระยะ 0.31 กม.